"The big swells in the Northern Hemisphere stop with the end of Winter. Fortunately at the same time, they are just getting started in the Southern Hemisphere as their Winter begins,” said Gary Linden, Big Wave World Tour Director and Contest Director. “The Quiksilver Ceremonial opens its waiting period just as the South Pacific begins to work its magic and the surfers focus on a new set of weather patterns. The endless Winter - a big wave surfer's dream!" The 2013 Quiksilver Ceremonial participants include: Jamie Sterling, Kohl Christensen, Carlos Burle, Marcos Monteiro, Peter Mel, Cristian Merello, Greg Long, Gabriel Villarán, Mark Healey, Jaimie Mitchell, Ramón Navarro, Diego Medina, Joao De Macedo, Ken Collins, Frank Soloman, Ben Wilkinson, Zach Wormhoudt, Jose Gomez, Jeff Rowley, Natxo Gonzalez, and four local trials winners. 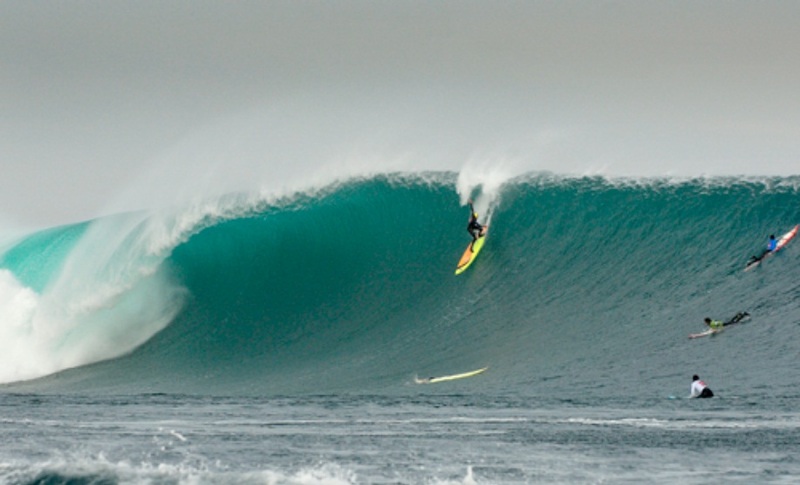 Past winners of the event include Marcos Monteiro (2011), Christian Merello (2010) and Grant “Twiggy” Baker (2009) – in 2012 there was no winner because the event did not run due to lack of contestable waves. This year’s Ceremonial will feature swell updates from some of the world’s most respected big wave surfers, including Peter Mel, Greg Long, and Ramon Navarro. 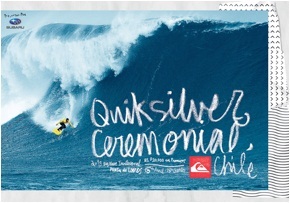 For more information on the 2013 Quiksilver Ceremonial Chile and to stay updated on the biweekly forecasts, please visit www.Quiksilver.com/Chile. The 2013 Quiksilver Ceremonial Chile would like to thank presenting sponsor Subaru for their support in making this event happen. Quiksilver is committed to providing tools for uncovering, expressing and expanding your personal style. Our aim is to foster the sense of individual expression and excitement – the stoke that is the essence of boardriding*. We're also here to spread the word because the only thing better than finding stoke is sharing it. *Boardriding is about timing and style. It's youthful, active, casual, and free flowing. There is no wrong way to ride a board. The goal is simply to learn, progress, improve, and give it your own interpretation.